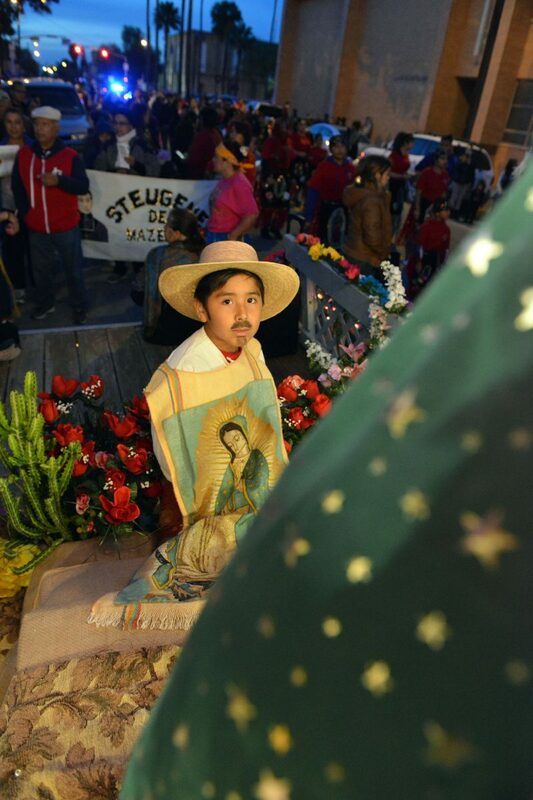 Children reenact the apparition of Our Lady of Guadalupe that Saint Juan Diego encountered in Tepeyac Hill in Mexico City in 1531 during a procession from Immaculate Conception Cathedral to Our Lady of Guadalupe Church as faithful celebrate Dia de la Virgen De Guadalupe. Pope Francis urged Latin American and Caribbean Catholics to celebrate and defend their diversity, saying Tuesday the face of the Catholic Church is indigenous, mestizo and black. Francis celebrated a special Mass to celebrate the feast of the Virgin of Guadalupe, the dark-skinned virgin who appeared to an Indian peasant in the 1500s and is particularly important to Latin American Catholics, the Argentine pope included. Locally, members from different Catholic parishes gathered to honor Our Lady of Guadalupe at observances around the Valley. Diocese of Brownsville Bishop Daniel Flores said among Catholics — especially here in the Rio Grande Valley — the faith in the Lady of Guadalupe is very strong. Bishop Daniel E. Flores celebrates mass outside of Our Lady of Guadalupe Church Tuesday during a celebration and feast day of Our Lady of Guadalupe. Faithful dance in celebration of the feast day of Our Lady of Guadalupe Tuesday night outside during a mass celebration at Our Lady of Guadalupe Church in Brownsville. 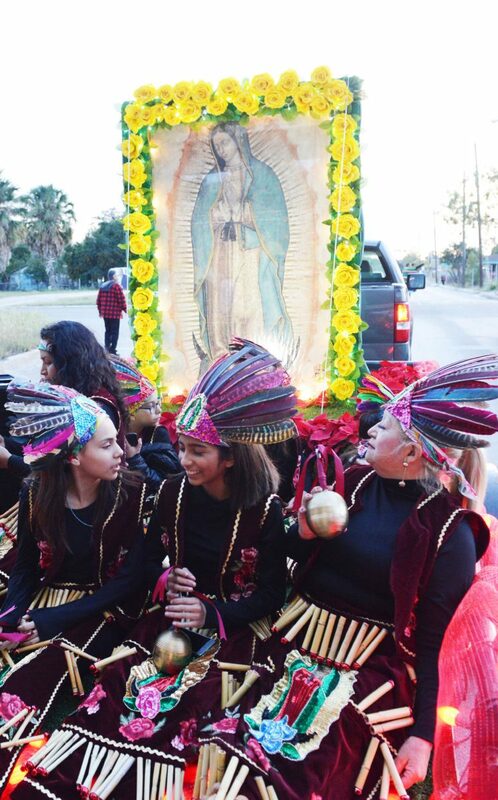 Feast day of Our Lady of Guadalupe is celebrated Tuesday in Brownsville during a procession in Brownsville. 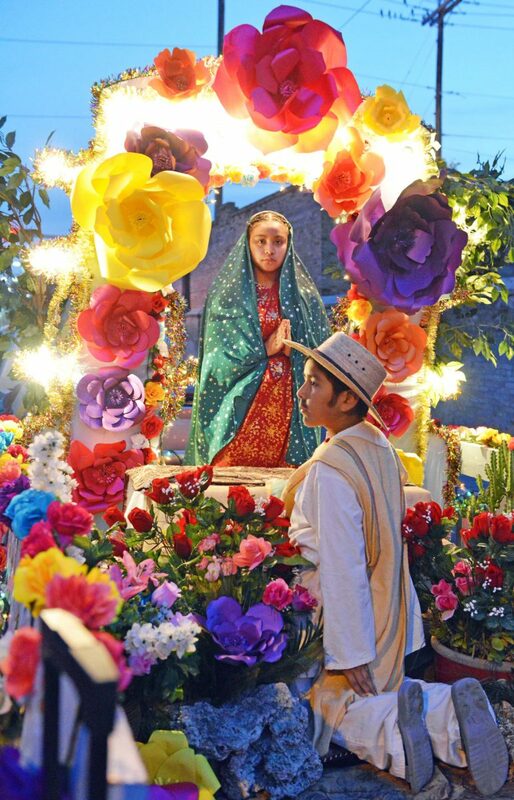 “It’s a celebration of the appearance of Our Lady in 1531 to San Juan Diego, which she announced that she was the Mother of God who was visiting the New World and that she wanted her children to be compassionate and reconciled,” Flores said. 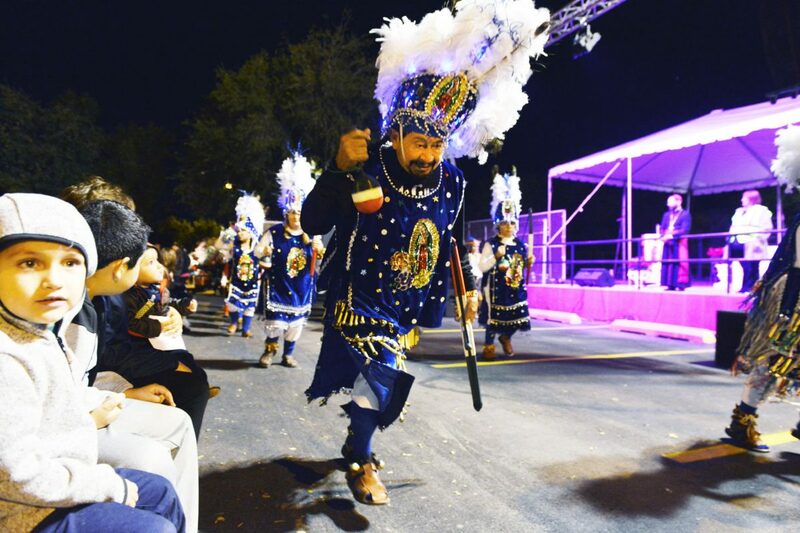 At a celebration in Brownsville, people dressed up in colorful costumes and danced in front of Our Lady of Guadalupe statues while others rode horses carrying portraits of her image. 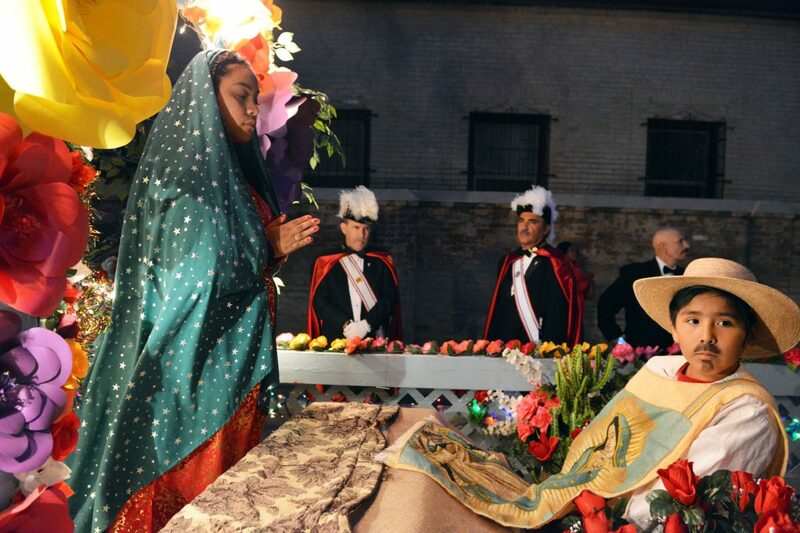 Many people also refer to Dec. 12 as Our Lady of Guadalupe’s birthday. In his homily, Francis said indigenous peoples, women, peasants, migrants and the unemployed often aren’t treated with the dignity they deserve. He urged the region’s faithful to not only cultivate their diverse cultures but “valiantly defend them” against homogenization. “Our fertility compels us to defend our people against an ideological colonization that cancels out the richest of them, be they indigenous, Afro-American, mestizo, peasant or suburban,” he said, speaking in his native Spanish. The first pope from the Americas has continued a tradition started by Pope Benedict XVI to celebrate a special Mass for the Guadalupe feast day, recognizing that Latin America has accounted for about 40 percent of the world’s Catholics and that Mexico (and Brazil) remain the countries with the most Catholics. 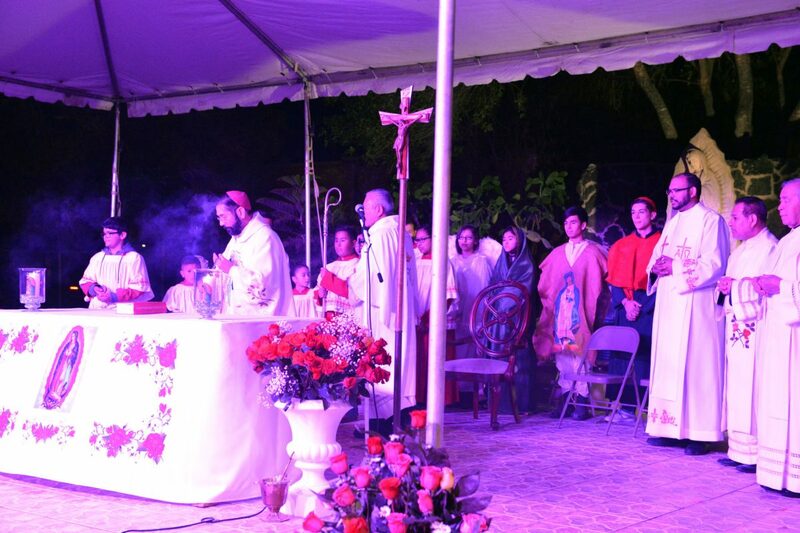 The most memorable Guadalupe Mass was the Francis’ 2014 edition, which featured the “Misa Criolla” folk Mass with hymns composed by Argentina’s Ariel Ramirez. Tuesday’s Mass was a more traditional affair, although Francis — who usually doesn’t sing — mouthed the words to the final “La Guadalupana” hymn. Reporting by The Brownsville Herald and The Associated Press.